An actively cooled headset and a case window which may be the first for a large PC vendor. HP used Gamescom in Cologne, Germany, to unveil two unusual pieces of gaming hardware on Monday. 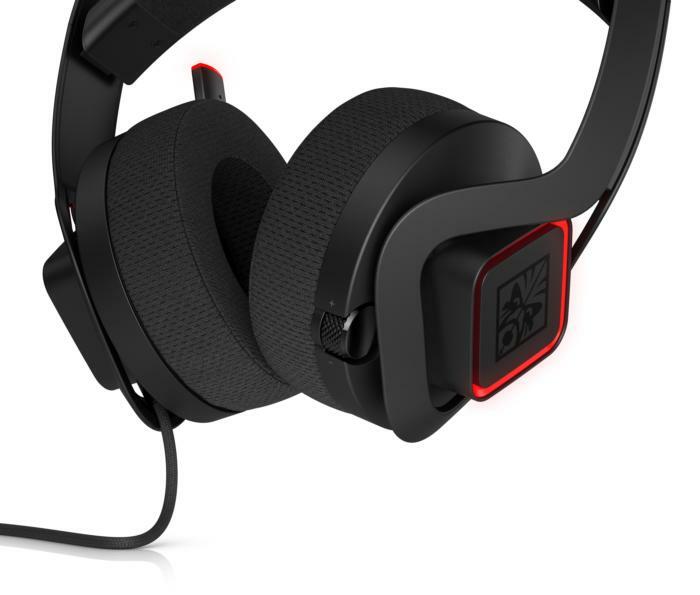 The Omen Mindframe gaming headset offers a first: in-ear cooling for sweaty noggins. The Omen Obelisk desktop PCs offer a first among big PC vendors: tempered glass. We'll tell you why both are special. The Omen Mindframe gaming headset, unveiled in May, is the first to integrate Peltier or thermal electric cooling (TEC) in to a headset. The big idea is the TEC's lowered temps will prevent your ears from getting sweaty. Even the fabric on the headset cups is designed to be extra-comfortable. HP finally unveiled the price: The Omen Mindframe will sell for $200. While that's not as pricey as the upper end of the spectrum, such as $329 for the SteelSeries Arctis Pro Wireless, it's a far cry from our favorite pick: the HyperX Cloud Alpha. The OMEN headset uses a soft ear cup material to improve the comfort even more. Let's face it, if no gaming headset works for you because you have Sweaty Ear Syndrome, this may be the only answer. 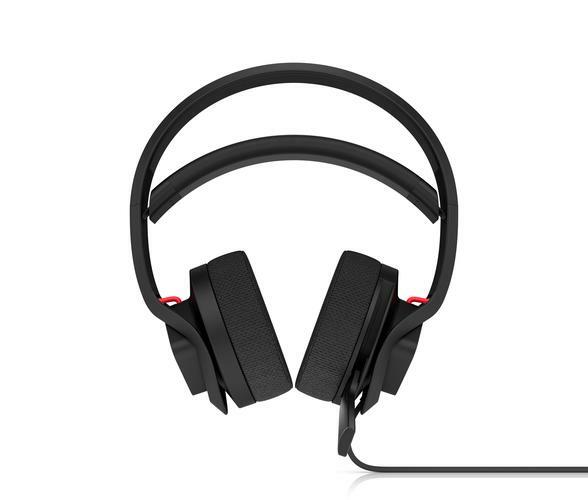 HP said it has sweetened the pot with active noise cancellation as well. The headset is due to ship in October. HP's other big announcement is the redesigned OMEN Obelisk desktop, expected to ship in September. 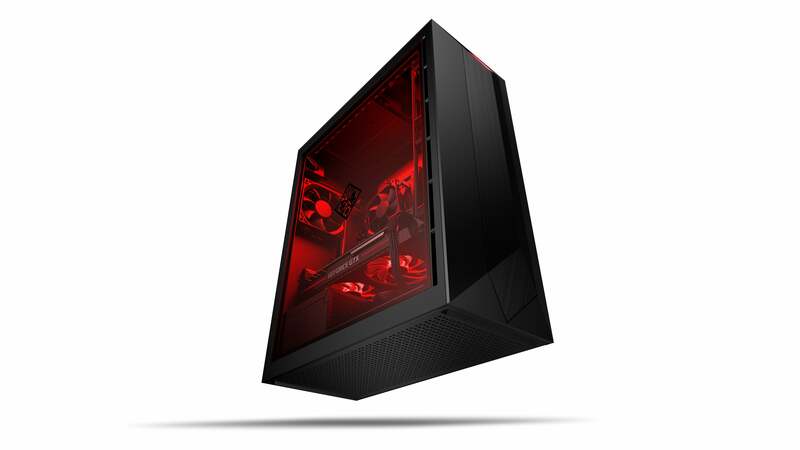 Touting RGB lighting and industry-standard components (rather than proprietary), the other feature of the OMEN that's quite unusual for a large PC OEM is the window. HP features a glass window on its new OMEN Obelisk, which is unusual for a large PC maker. 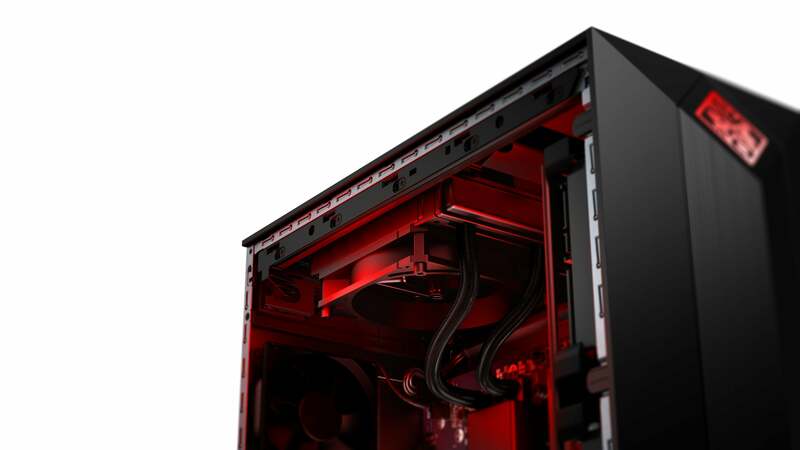 Case windows have been around for almost 20 years on DIY gaming rigs and boutqiue builds, but they're rarely used by big PC makers. That's because big PC makers must also pass FCC regulations, which test for radio frequency pollution. While metal cases reduce the RF emissions, glass and plastic let it pass straight through. To address the regulations, HP coats the tempered glass window to help it contain the RF inside the PC. The $879 features a Core i3-8100, GeForce GTX 1050, 8GB of HyperX Fury DDR4/2666, 1TB hard drive, and 300-watt PSU. The $999 Obelisk features a Ryzen 5 2500X, Geforce GTX 1060, 8GB of RAM, 1TB hard drive, and 500-watt PSU. Stepping up from that to $1,049, you get a Core i5-8400, GTX 1060, 8GB of RAM, 1TB hard drive, and 500-watt PSU. All of the above have metal doors, but step up to the top-end $1,549, and you get your glass window, plus a GeForce GTX 1070 (or maybe the new RTX 1070?) as well as 16GB of RAM, 256GB M.2 SSD, and 1TB hard drive. The PSU remains the same, at 500 watts. HP said all are air-cooled, but the case is actually designed to allow for aftermarket CLC coolers.